You don�t need to wait for a power blackout or a thunderstorm to damage your computer, power fluctuations and unseen surges through the mains power or through ADSL /Phone lines can do incremental damage or catastrophic damage to delicate computer electronics, hard drives and network cards. One of the issues with power boards is that in a surge event they will shut off the power to the board, causing the computer to shutdown.� In technical circles this is known as �unexpected shutdown� and is a common causes of disk failure or data loss. The event is logged in the systems error reporting� and is an important area of risk management for data. Surge boards are not cheap and the high cost can give you a false sense of security. If it costs this much it must work, right? Wrong. Surge boards that suddenly interrupt power to your computer often cause problems rather than the intended purpose of protecting sensitive computer electronics. The solution for the office and home. An uninterruptable power supply that offers true sine wave technology was something that only large enterprise could afford, but units have now become smaller and affordable. The most important part of good UPS technology is the line interactive capability. This straightens out the sine wave to deliver clean power, along with the ability to switch to backup battery when the power fails. If the power is not restored within a specified time you can shut down your computer gracefully. There are many brands of UPS for the office or home available through technology outlets such as computer stores but few with capable and reliable Line Interactive Technology. You can protect your PC equipment and ADSL line with a good quality UPS for around the same cost as a premium priced power board. We can install a UPS with Line Interactive Technology� (for $171 at the time of writing) during a standard service call. 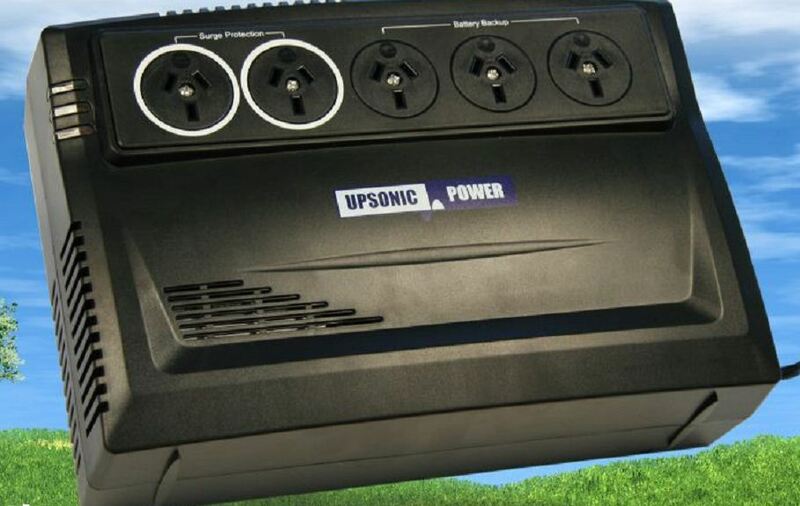 Book an onsite computer service today and ask for a Upsonic Line Interactive UPS installation. It takes around 10 minutes and could save you from unnecessary power related data loss or component failure. You are currently browsing the Wired Office weblog archives for September, 2011.